A few years back, both ENCODE and FANTOM Consortium reported a comprehensive polling of transcription start and termination sites of transcribed RNAs in both human and mouse. Our first realization was that, most of the genome, it seemed, was being actively transcribed. A notable fraction of these transcripts, however, are not translated into proteins and are called non-coding RNAs (ncRNAs). There are further classifications (e.g. lncs and SINEs and…) but that is beside the point here. The discovery of ncRNAs started a race for a functional annotation of these molecules. After close to a decade however, the published functional examples are few and far in between. 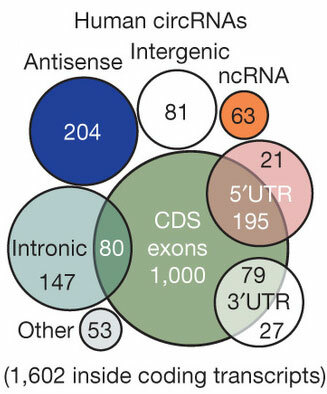 Now, either we over-estimated how relevant these ncRNAs are or they function in such nuanced and complex manner that evade our puny genetic and genomic methods. Despite the scarcity of findings, one class of ncRNAs have been proved very promising, namely the antisense RNAs. As their name implies, these molecules are usually transcribed from the opposite strand of known protein coding RNAs. 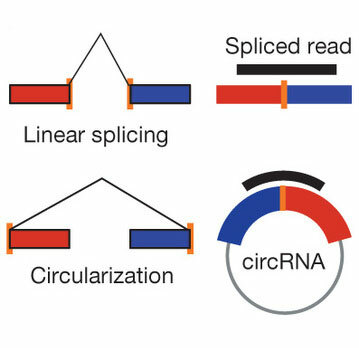 The complementarity between these anti-sense RNAs and their functional counterparts hints at a regulatory function mediated through direct interactions between these molecules. A paper published in Nature by an Italian group has functionally characterized an antisense RNA (anti-Uchl1) with impressive detail. Apparently, the export of anti-Uchl1 from nucleus can be controlled effectively. When in cytoplasm, anti-Uchl1 then activates polysome formation and active translation. These data reveal another layer of gene expression control at the post-transcriptional level, which I hereby dub peri-translational regulation.